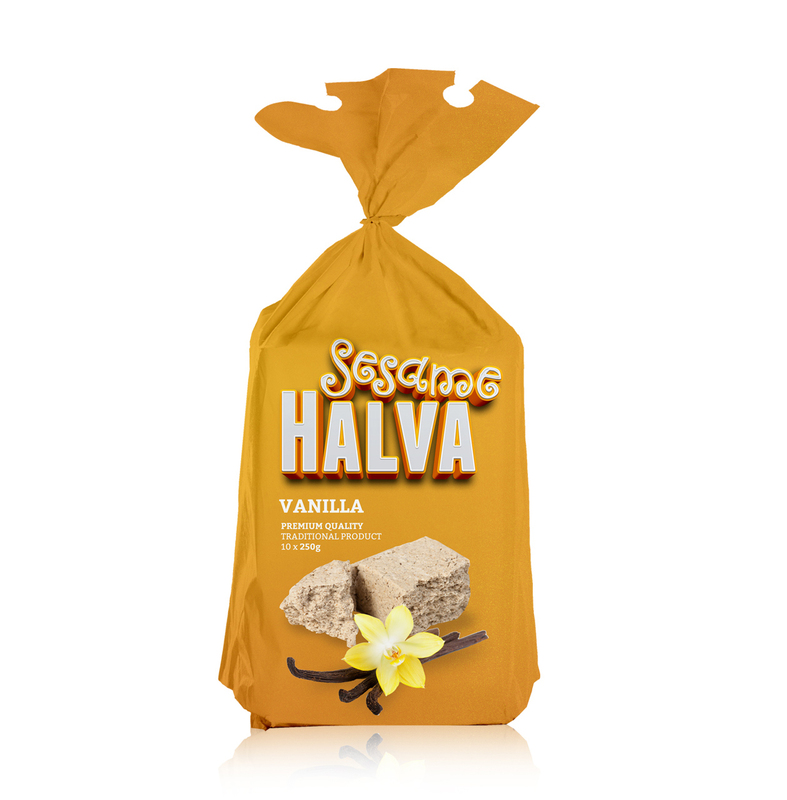 Halva is fantastic traditional, natural sweet snack which originated in the Middle East, yet is now becoming more and more popular in western world too. 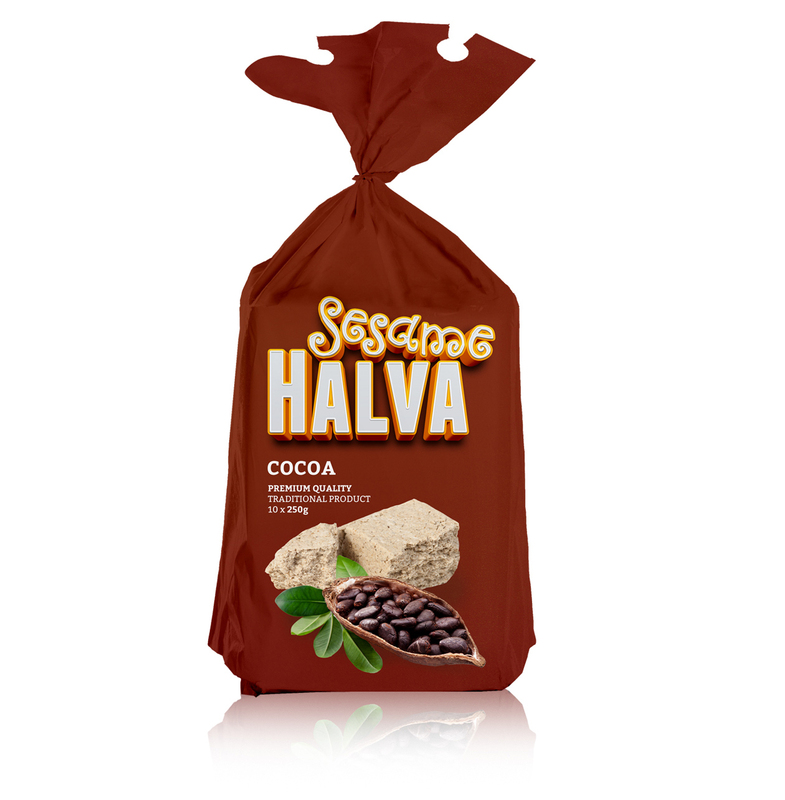 No doubt about its fantastic taste and natural properties which make it ideal for production and transportation. 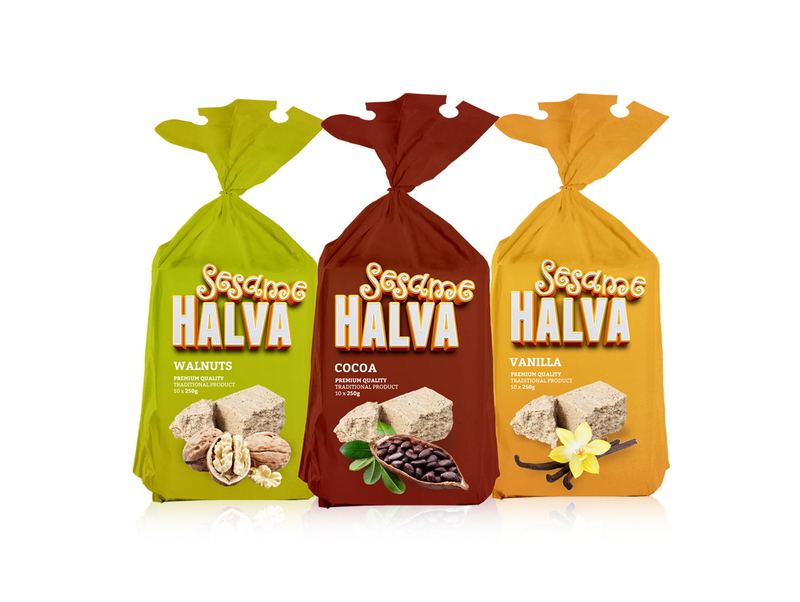 The whole idea behind this packaging design was to create something that would stand out from the traditional approach which many halva brands have taken. Therefore, we have decided to move away from flat oriental decorations and make the product more appealing to young, western generation by using more plastic, 3d typography both on packaging and in communication. Three sacks are easily recognizable thanks to original and strong typography, plus each of them is separated by color communicating the flavor of the product. 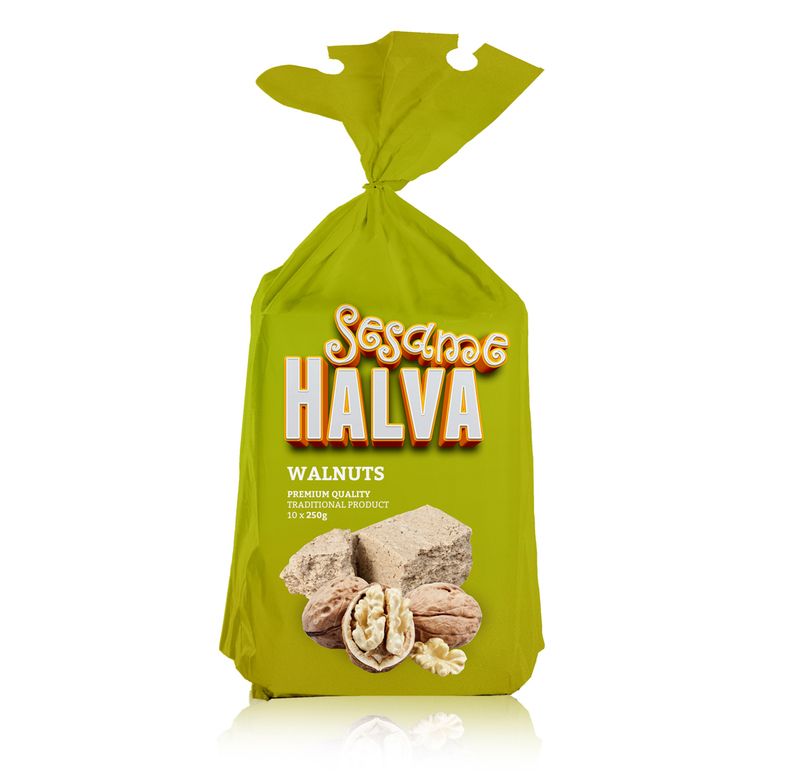 Walnuts, cocoa and vanilla are typical flavors which are yet only the start of the entire future product line. We hope you enjoy this packaging design as much as we do.